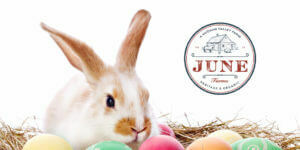 Get your tickets to our first annual Easter Egg Hunt & Family Fun Day at June Farms! Our bar and restaurant will be open, Easter games for the kids, and ALL the animals for you to enjoy! 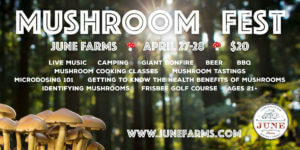 Whether you are interested in the medicinal and health of mushrooms, or enjoy the recreational use of mushrooms or macrodosing, we have something for you to enjoy this Mushroom Fest weekend! Ages 21+. Visit our Eventbrite page for more information. 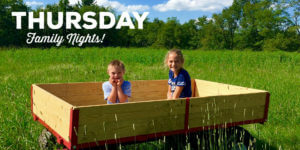 Thursdays from 5-8pm are one of the busiest nights at the farm! 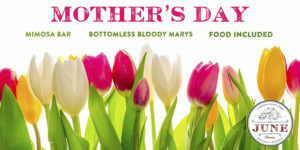 Bring the whole family and enjoy food, drinks, games & fun! $10 admission/car. 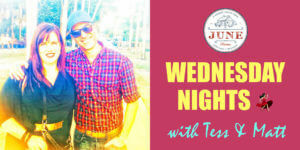 We are so excited for this night! 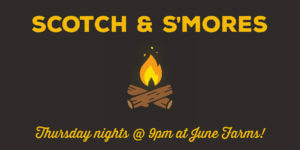 Bring your acoustic guitar, and get your ticket to our new Scotch & S'mores night, held around our campfire at June Farms! 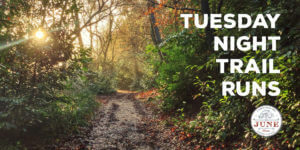 These classes sell out so get your tickets now! 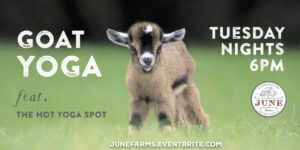 Our famous Goat Yoga + Pizza night at June Farms is one you will love! Do you miss the hair metal bands of the 80s and 90s? We do. 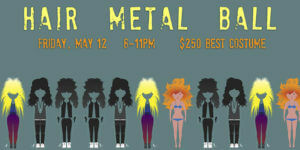 June Farms' Hair Metal Ball is going to be an epic power ballad experience slash light show slash costume party. Ages 21+. Visit our Eventbrite page for more information! 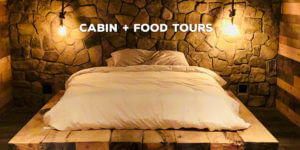 Once a month, we offer a tour of all of our cabins at June Farms, with a different food course at each cabin for you to enjoy! One of our most popular events from last year!